A proven bestseller, the size and standard features of the RH620 are second to none. 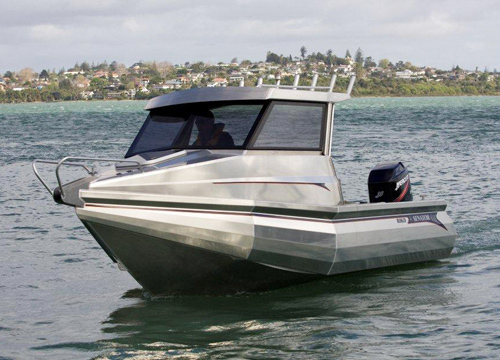 The RH620 offers unbeatable value with its unique hull design and the ability to be powered with up to 200hp. 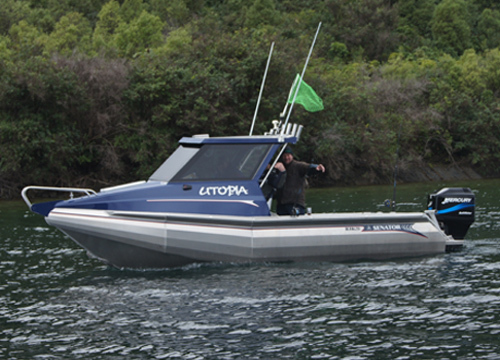 Add to that plenty of usable interior space, including standard back-to-back seats and squabs in the front cabin. 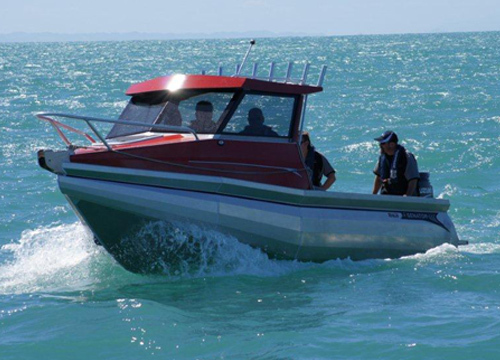 With an entry angle of 26degrees varying to 18degrees at the stern, the RH620’s capability to safely stay out with larger boats and often get home first – even in rough weather – makes it the leader of the pack. Dive bottle storage along the uniquely folded pontoons is one of a long list of standard features on this model. 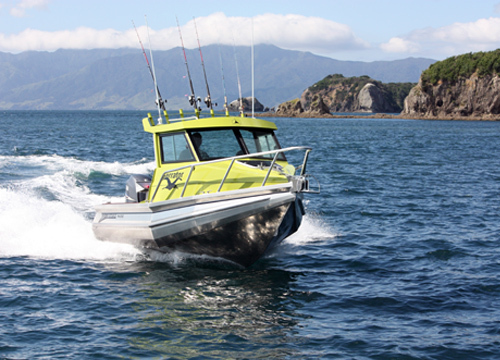 Single or twin outboard, petrol or diesel stern drive options are all available.